The conference has secured accommodation rooms at special discounted rates at the following hotels near to the conference venue. Bookings for these hotels can be made during the registration process. You will need to select your room type, indicate arrival and departure dates and provide full prepayment in advance to secure your booking. Please note, if you do not book accommodation during the registration process, the only way to add this at a later date is via your registration 'dashboard'. This must be be prepaid in full by Thursday 26 September 2019. Any accommodation payment not received by this time will be cancelled. If you require additional room nights not already available, please contact the conference secretariat for availability. Please note, you will be required to complete a credit card authority form upon enquiry. Changes to your booking should always be done through the conference secretariat, NOT the hotel itself. Beware of scams: Firms claiming to be legitimate accommodation and travel agents for this event may contact you requesting credit card details. They are not endorsed or authorised by the conference organisers. Featuring stunning views of Port Phillip Bay, our Family Queen Room comes with a separate shower and bathtub as well as a wide selection of television channels, offering you the perfect retreat within a stylish setting. Captivating city skyline views from levels 10-26 featuring LIVE N DREAM bedding and floor to ceiling windows. Stay connected with high speed WiFi, smart TV and bedside USB power. Bathrooms feature walk-in showers and fair trade amenities. 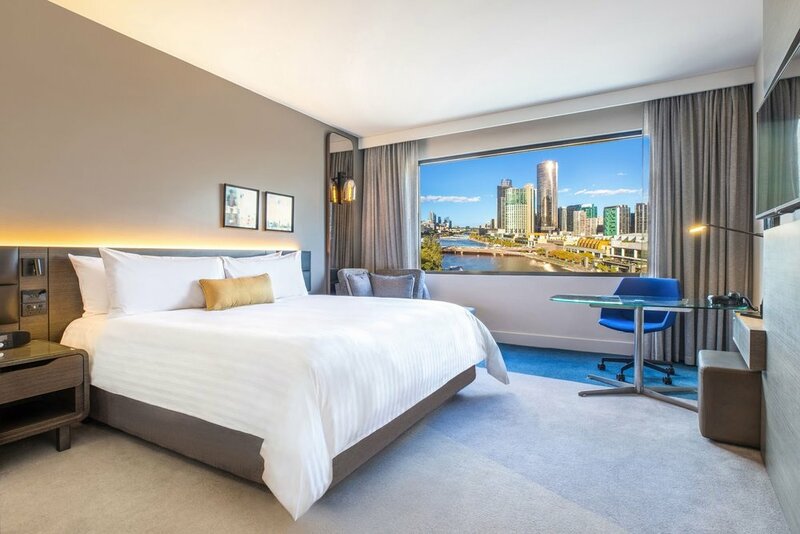 Standard Rooms overlook either the city of Melbourne or Crowne Plaza Melbourne’s serene outdoor swimming pool. 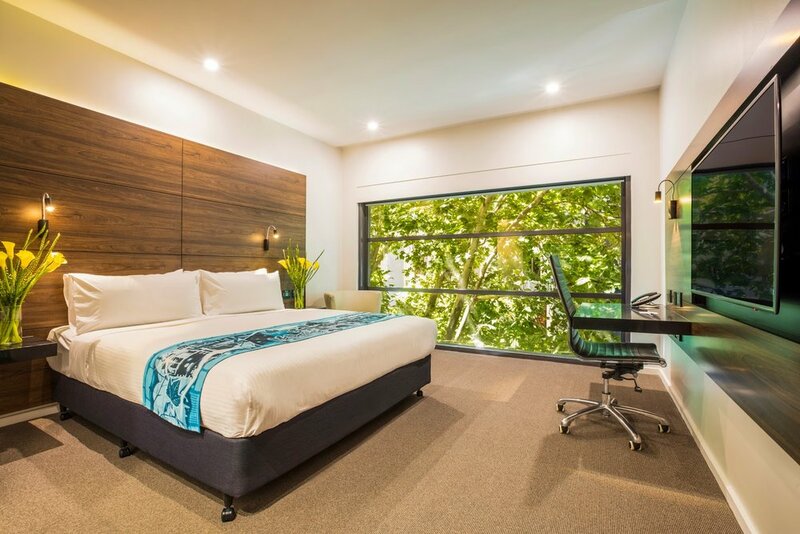 Standard Rooms offer modern comforts for a restful stay, including plush bedding, an ensuite bathroom, 42-inch television with Foxtel and on-demand movies, and 24-hour in-room dining. 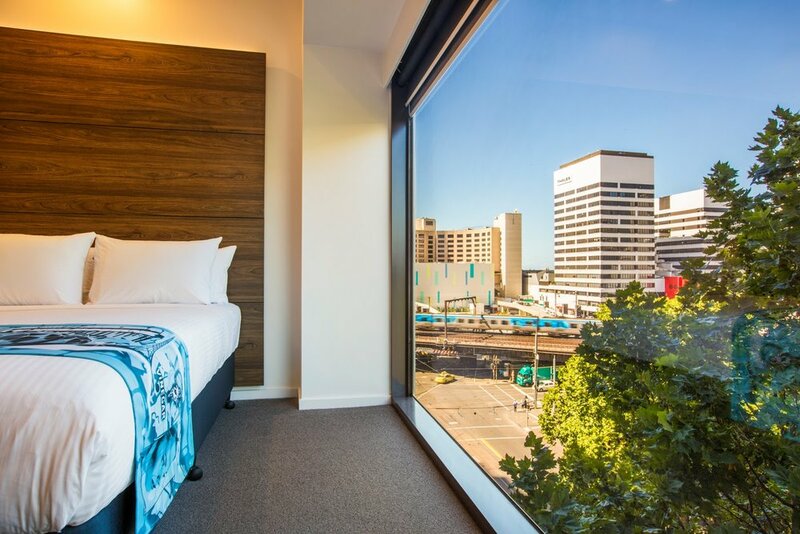 Travellers visiting Melbourne on business will enjoy in-room WiFi access along with an ergonomic workspace for a productive visit. Groups and families may consider requesting adjoining Standard Rooms (subject to availability). interconnecting rooms available on request (subject to availability). As the world’s most recognised hotel brand, Holiday Inn is renowned for it’s relaxed, welcoming atmosphere, comprehensive range of facilities and dedication to customer service. 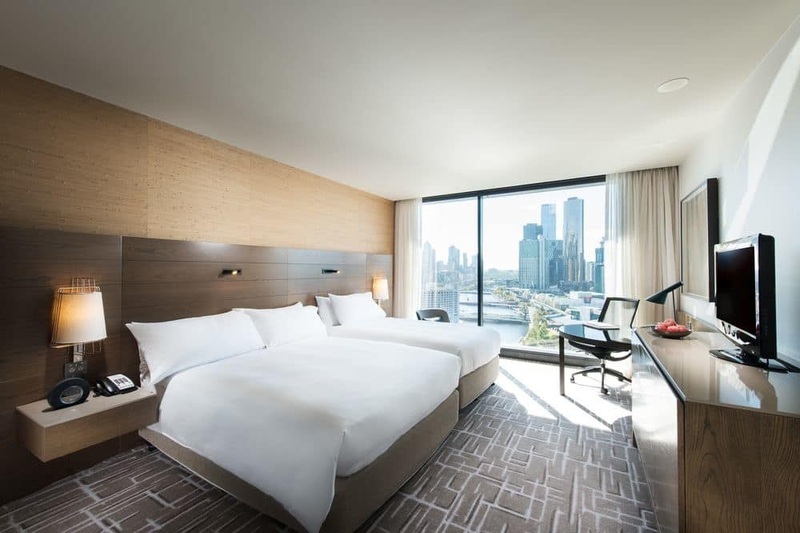 Conveniently located in Melbourne’s CBD on the corner of Flinders Lane and Spencer Street, Holiday Inn is a short walk from Southern Cross Station and all the best dining options and attractions that Melbourne has to offer. Breakfast: Discounted rate of $20 per day only available when booked through your online registration. Check-in times - Rooms are not guaranteed available until 2 pm (3 pm for Pan Pacific) on the day of check-in, though can be made available earlier in the day at the discretion of the hotel. If you wish to ensure an early check-in, you should reserve the room for the previous night. Breakfast - Breakfast is available at all hotels for an additional cost. For the Holiday Inn Melbourne on Flinders, breakfast can be booked during the registration process. For all other hotels, breakfast can be booked during check-in. Changes - If you require additional room nights not already available, please contact the conference secretariat for availability. Please note, you will be required to complete a credit card authority form upon enquiry. Changes to your booking should always be done through the conference secretariat, NOT the hotel itself. Security deposit upon check in - A security deposit will be held to cover any miscellaneous charges. Room availability - During the Registration process, an icon of an envelope indicates there is no availability for accommodation at that hotel for that date. Please email ASN Events if you have any queries regarding accommodation.